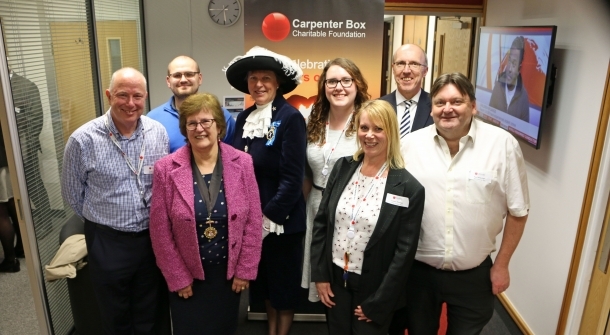 Sussex-based MHA Carpenter Box is celebrating the 10th anniversary of its pioneering charitable foundation…by committing to add £20,000 in 2019 to the £175,000 already raised for voluntary groups serving communities local to its Worthing and Gatwick offices. The chartered accountancy firm was one of the first businesses in the area to set up a charitable arm with a focus to support smaller local organisations that often find it difficult to raise funds. The foundation is run by staff trustees along with one partner, who together decide on donations and grants. To celebrate the 10th anniversary milestone, the firm will be running 10 events throughout 2019 - five fundraising activities and five with a volunteering focus - with the aim of raising £20,000. The official launch of the special year was held at the MHA Carpenter Box offices in Worthing and attracted the support of the High Sheriff of West Sussex, Caroline Nicholls DL, the Deputy Mayor of Worthing, Councillor Hazel Thorpe and her Consort, Robin Rogers, along with local charitable groups and businesses.